Lake Michigan has been the final resting place of maritime vessels since the tragic loss of The Griffin in the 17th century. The remains of over 8000 shipwrecks lie strewn over the floor of the lake. However some ships sink without a trace, leading to a various theories – some quite fanciful - as to why they went down. One such ship is the three-masted schooner Thomas Hume. Built in 1870 in Manitowoc Wisconsin, the schooner measured 132 feet long, and boasted a 26-foot beam. In honor of her first owner, she was christened the H.C. Albrecht, and Captain Harry Albrecht sailed the schooner for several years following its construction. 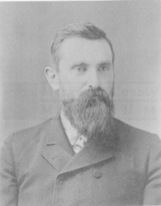 Captain Welch from Chicago bought the ship in 1876. The following year, he sold the schooner to Charles Hackley and Thomas Hume. It was no surprise when these two gentlemen from Michigan acquired the ship. 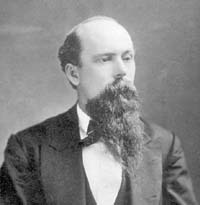 Charles Hackley was Muskegon’s most celebrated lumber baron. 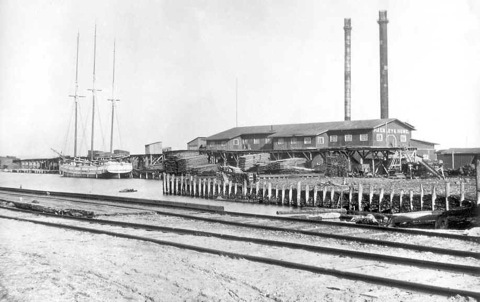 As the owner of vast acres of timber, he and business partner Thomas Hume ran the Hackley-Hume Lumber Mill in Muskegon, which operated for nearly forty years until the effects of deforestation led to its closure in 1894. 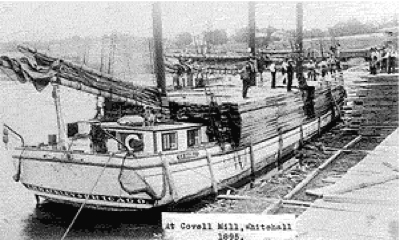 For most of the latter half of the 19th century, the Hackley & Hume Co. employed a fleet of ships to transport lumber from Muskegon to Chicago, which at that time was the busiest port in the nation. The H.C. Albrecht was purchased as a much needed addition to Hackley’s fleet of lumber ships. Ironically when the Thomas Hume left port in Chicago on May 21, 1891, it sailed alongside the Rouse-Simmons. Since it had just unloaded its cargo of lumber in Chicago, the Hume was returning home empty. On board was a crew of seven. Although it was the usually temperate month of May, both the Hume and the Rouse-Simmons encountered a storm on Lake Michigan. The captain of the Rouse-Simmons deemed the heavy squall too dangerous to travel through and turned his ship around. But while the Rouse-Simmons safely returned to Chicago, the Hume made the ill-fated decision to continue on to Muskegon. The Thomas Hume was never seen again. When the Thomas Hume failed to make port in Muskegon, owners Charles Hackley and Thomas Hume despatched Captain Seth Lee to search for the missing vessel. This trusted mariner could not find even a single piece of wreckage. Not only were seven crewmembers presumed dead, but the Hackley & Hume Co. was forced to write off the disappearance as a $6000 loss since the ship was uninsured. The company owners found it hard to believe that the schooner could simply disappear without a trace. If indeed a spring storm had sunk it, then where were the fragments of the ship that invariably washed ashore after such a catastrophe? Speculation sprang up that the Hume’s crew stole the ship, and repainted and renamed it. Or a freighter struck and sunk it, subsequently covering up any evidence of the event. A $300 reward was even offered by Hackley & Hume in return for information as to the whereabouts of the Thomas Hume. The reward was never claimed. For over a century the disappearance of the Thomas Hume remained one of the legendary mysteries of the Great Lakes. In the 20th century, stories of UFOs being sighted over the lakes led to theories that extraterrestrial activity somehow caused the Thomas Hume to vanish into seemingly thin air. In fact, there are those who claim that a section of Lake Michigan is a midwestern counterpart to the Bermuda Triangle. Known fittingly as the Michigan Triangle, this area is said to cause time to speed up or slow down, and to be responsible for the disappearance of several lake vessels and aircraft. For those who believe in the existence of such a mysterious place, it was not impossible that the Thomas Hume vanished into the Triangle itself. Not until 2006 was the Thomas Hume mystery solved. That year Taras Lyssenko of A&T Recovery was searching for old Navy planes in Lake Michigan’s southern end. Working on behalf of the National Museum of Naval Aviation, this Chicago based company has recovered over thirty WWII planes from Lake Michigan. Instead of an aircraft, Lyssenko’s sonar picked up the contours of a large schooner shaped vessel. When a team of divers went down to investigate, they were amazed to discover an almost completely intact vessel. Unlike most shipwrecks, this vessel sank far out in the lake and at a great depth. Both factors, combined with the freshwater conditions, kept the ship in remarkably good condition. Even the ship’s rigging and masts were still attached. Tools, coins, clothing articles and jewelry were found on the wreck, prompting Lyssenko to describe it as a “time capsule from 115 years ago.” Although the vessel’s dimensions matched that of the Hume, there was initially no concrete way to verify the ship’s identity. Divers set out to find the ship’s registration number carved on the deck, a task that required scraping away thousands of zebra mussels. A&T Recovery turned over the wreck to the Michigan Shipwreck Research Associates (MSRA) as well as to a respected team of Chicago underwater explorers. After years of exploration by divers, the MSRA and archaeologists from the Lakeshore Museum Center, the conclusion was reached that the wreck was almost certainly the Thomas Hume even though a registration number has not as yet been found. However several ship artifacts do bear date markings consistent with the working history of the Thomas Hume. 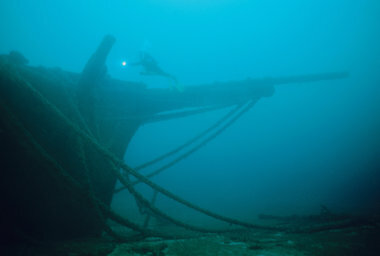 Research continues on this legendary sunken vessel, which still rests over 150 feet below the surface of Lake Michigan. 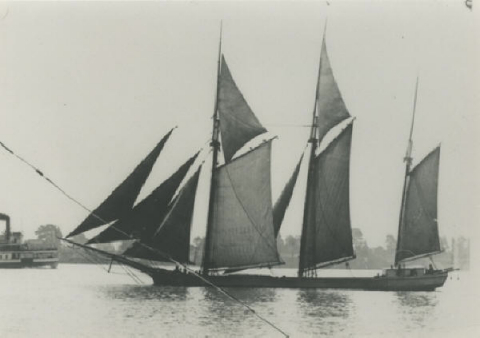 In 2011, the Lakeshore Museum Center in Muskegon presented both an exhibit and a documentary film called ‘The Shipwreck Thomas Hume’ commemorating the 120th anniversary of the schooner’s disappearance. And even without the involvement of UFOS, it seems that the Thomas Hume still has fascinating secrets left to tell.